Have access to Europe's biggest database of motorhome sites in more than 50 countries. 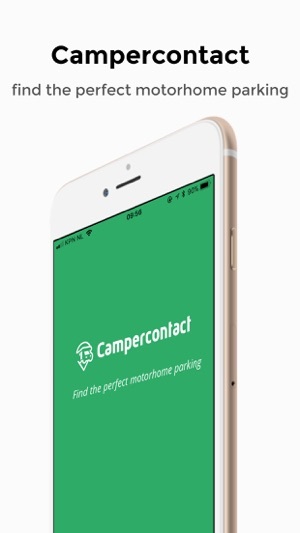 Base your choice on one of the 250,000 extensive reviews and assessments of other campers and get a good impression of the location. Search, filter and always find the right motorhome sites. Want to use the app offline to save data charges? No problem! 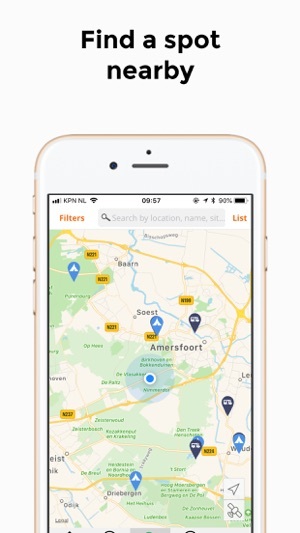 With extensive search and filter options, you will always find the right motorhome site near your current position or in the place you wish to stay. You can select by country, region, type of site or price. 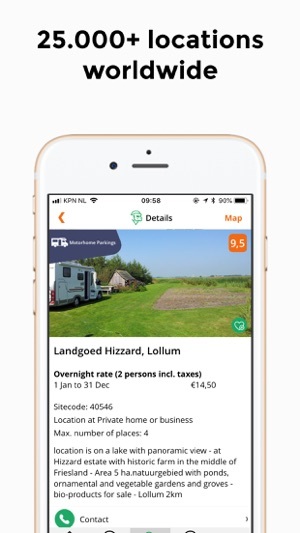 Detailed information is provided of each motorhome site, such as address details, GPS coordinates, price, reviews, maximum number of places, facilities and photos. Discovered a new motorhome site? You can easily add it, as well as reviews, photos and changes. Found that one unique motorhome site? Mark it as a favourite and share it easily by email, on Facebook and on Twitter. • directions: use navigation software for smartphone or tablet to determine the route to the motorhome sites found. 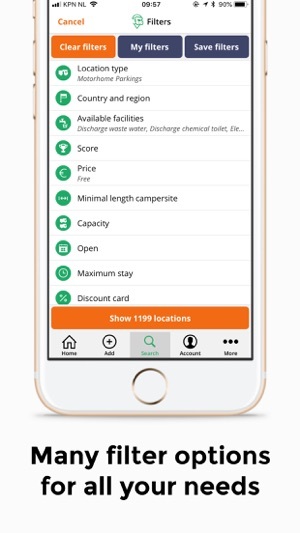 You can gain one year (12 months) access to the full database, data-updates and the offline maps, when you purchase the app (in-app purchase). Long-term use of background GPS can considerably shorten the service life of your battery. I’ve found some great places to camp, but it’s annoying to use as it crashes all the time, especially when zooming on the map. maps finds more sites than this app. and I bought the full version.